Why Falling in Love Feels so Good? Ever wonder why falling in love feels so good? Why does the beginning of a relationship feel like heaven on earth? No fighting. You feel you can talk about anything. Just the thought of that first kiss gives you butterflies in your stomach. You’ll cancel anything to see one another. The answer isn’t all that complicated. Bluntly, I call it “love heroine”. Look at the image below. In the beginning of a relationship you know very little about one another. 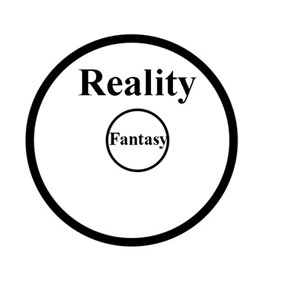 The little you know is represented by the small ‘reality’ circle in the middle of the image. You may know, for instance, what car he drives, how attractive she is, where he lives, what she does for a living etc. The larger circle represents all you don’t know about one another. The human brain loves novelty. Thus, we tend to fantasize what the bigger picture of him or her will be. For instance, he’ll always think of me first, she’ll always cook for me and do my laundry, he’ll want to spend every moment with me, she’ll always be affectionate both verbally and physically. All these thoughts are the ‘fantasy’ or ‘love heroine’ we feel. And, it feels GREAT!!! Falling in love is your fairytale come true. As you can see the ‘reality’ is now the larger part of the relationship. 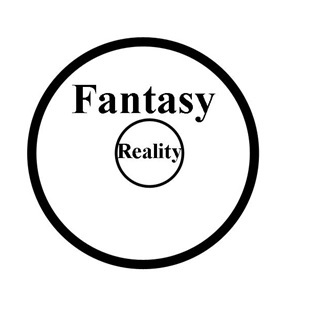 The fantasy, not so much! Now that you’re coming off the ‘love heroine’ high it doesn’t feel as good. So the question many people ask me is, ‘now that we no longer have the high, does that mean we aren’t in love anymore?’ Absolutely not! Now that you know one another and love one another you are more connected than you ever truly were in the beginning. Another question I often get when I explain this to couples is, ‘can we get that fantasy feeling back?’ Of course you can! It takes some effort but it’s absolutely possible. Read my next few posts to see how you can keep your love alive.